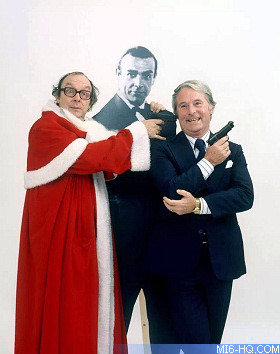 Christmas in the UK became a special time for James Bond fans in 1978. For the first time, the big day would see a 007 adventure smack-bang in the middle of prime time, and it would go on to be a regular tradition for years to come. 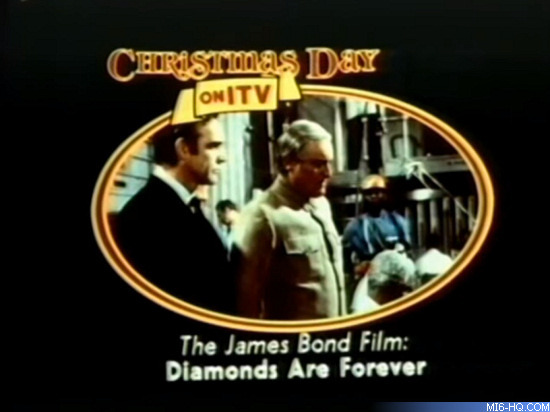 On December 25th, 1978, ITV hosted the television premiere of Sean Connery's final official outing 'Diamonds Are Forever' seven years after its theatrical release in 1971. 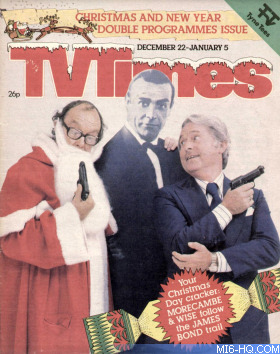 Above: The Christmas 1978 edition of TV Times magazine covershoot featured Morecambe and Wise with a cardboard cut-out of Sean Connery. Today, a film over seven years old would not be considered worthy of the timeslot, but back then, this would be the first opportunity many of the general public would have to see the film if they missed it during its original run in cinemas. In fact, it had only been three years since 'Dr. No' became the first Bond film to ever be shown on UK television on 28th October 1975. ITV paid a (then) handsomely sum of £850,000 for the rights to screen the first six films. It would not be until 1982 that the first home VHS releases of the Bond films became available in the UK. ITV had two major scalps in the ratings battle of 1978. 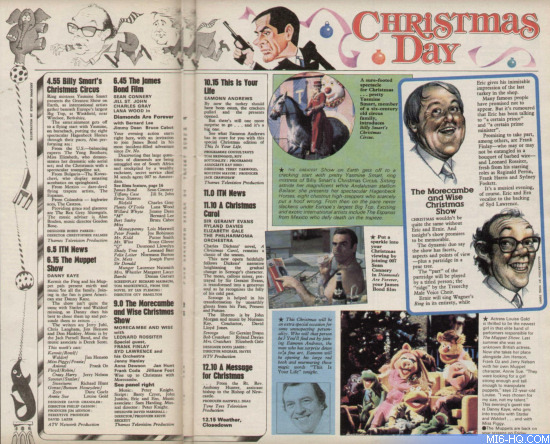 Not only did they have the blockbuster Bond film at 6:45pm, but they also lured Morecombe and Wise away from the BBC and this was to be their first Christmas special for the commercial broadcaster. Thames Television (ITV) title card show at the end of each advertisement break during the film's broadcast. However, the BBC ended up winning the ratings war by showcasing 'The Sound of Music' (1965) as their big film premiere (starting at 4:20pm) with the final 20 minutes over-running the start of 'Diamonds' on ITV. The follow-up act failed to hit the high notes for ITV too, as Eric & Ernie's head scriptwriter did not make to move to ITV and their show suffered. ITV went on to showcase a 007 adventure on Christmas day for many years to come, and any British child of the 1980s will fondly remember 'Bond on the box' each festive period.